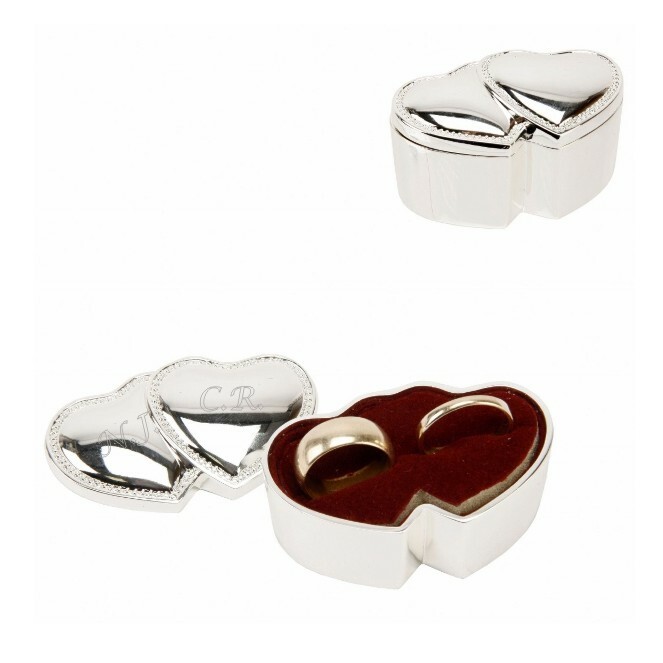 A beautiful engraved double heart ring box. This amazing ring box has a deep red velvet lining/ring cushion and measures 30 x 60 x 30mm. Due to the size of the engraving area we can engrave either initials, a name or a date. Please provide your engraving requirements in the Customisation box. We will then engrave to your personalised requirements.